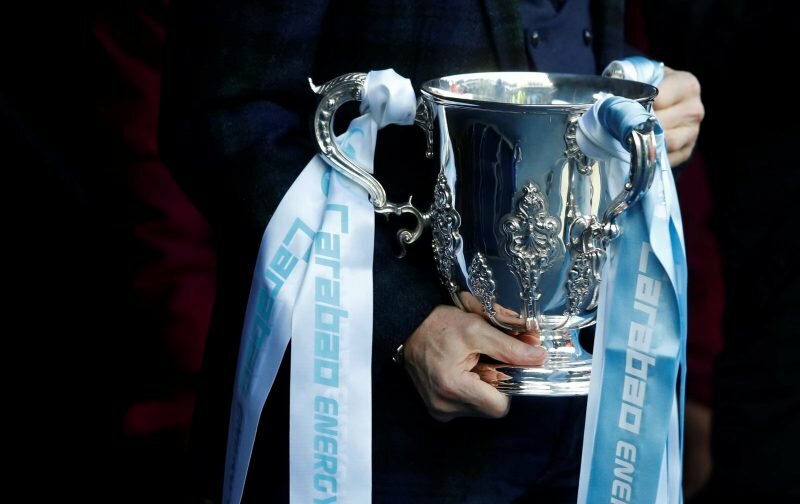 Tottenham Hotspur fans have to put Manchester City disappointment behind them following Monday evening’s 1-0 loss to the reigning Premier League champions as we face an incredibly quick turnaround and it’s West Ham United up next in the EFL Cup. We make a second trip of the season to visit the Appy Ammers at their London Stadium and we can go into the game with confidence following the 1-0 victory over them only three games ago. I’m sure as today ticks by and tomorrow rolls around the usual suspects will be talking about similar starts to the season and the guff we saw in the buildup to the last match, but the fourth round stage of the competition sees us one step closer to a return to – well, the stadium we currently inhabit – and given Champions League disappointments so far, although the Premier League campaign has to remain the priority given what’s now considered important in modern football, few should turn their nose up at the possibility of this silverware. In team news, Danny Rose, Vincent Janssen and Jan Vertonghen are all out but with Manchester City seeing minutes for Christian Eriksen and Dele Alli, we’ll have to see how much more they may come into Mauricio Pochettino’s plans, but we can certainly expect some changes though given it’s two games in three days. We might even see a few youngsters get an opportunity to impress as some get a well-earned rest. There’s even less reason to run players into the ground with this competition than the European games. In theory it should mean more for West Ham than us but we’ll see how strong a team they actually play. You play the players that need a game, Ali an obvious candidate, you rest those that don’t and you give a few youngsters a chance to show what they can do. Then you see what happens. Either way it won’t change our season. I expect West Ham to make this a difficult game for us, as they always do. But much like in the league, this is a winnable game on paper and the only worry is fatigue. I see a lot more incentive for us to approach this competition seriously than I do the game against PSV next week. We still control our destiny in this competition, whereas we do not in the CL (we’ll need quite a bit of help in fact). Quite a few players who have not featured much could come in for this one. The likes of Aurier, Foyth, Wanyama, Son, Llorente and even KWP could all have a part to play. Agree that with two games in three days, will have to rotate. We would anyway because of league cup. However, Foyth would not handle a game like this. So will have to choose two from the three of Toby, Sanchez or Dier. Anything else and we are throwing in the towel. This centre half position should have been strengthened in the summer window. Like every game, it’s a good one to win. Oh my! Lucky Wham get two cup finals in 2 weeks v us, they have already lost one, so lets make it 2. COYS already. Just noticed.. West Ham are selling tickets for our game.. from £10 LOL..
As I knew from a friends who does charity work in East London, he receives 25 tickets regularly to PL games at Olympic Stadium in Stratford. Local college students also get very cheap tickets. So maybe..that’s why they have 56k attendance every home game….?? Having read the press this morning after being at the game last night I have to wonder why we spurs fans aren’t on suicide watch- Poch never been so depressed – THFC Ltd are guilty of ruining last nights game because our New Stadium wasn’t ready – We’ve had to borrow another £227 m to pay for the over run in costs – Poch is odds for the Real Madrid Job – Neville and Garragher think were a busted flush! Blimey ! I have to say the pitch did look a bit strange but not as dilapidated as people are making out! But the anti Spurs punters are out in force today as a result of last nights result. Merson is a complete w ..anchor and yet his words are getting top billing in the London press. Give e strength! Have to say the atmosphere was not good last night . I assume we only had 58,000 in cos we weren’t allowed a full allocation. Should have ended up 2-2 we weren’t that bad as it happen but City were leaving a lot in the tackles. Going to be a rocky month if results don’t go our way this month ! The LC will perhaps be a key competition to us this season. We won’t win the PL, are unlikely to progress to KO stages of the CL, so this leaves this and the FA Cup as chances to succeed. Given this situation we should be trying like hell to win v the pikies. Looks like Eriksen gets a run out to get match fit although I have to say he sounds like he is nursing a nagging injury which I hope won’t require surgery on it to repair it, stomach injuries are very difficult to rectify and heal! Delle looks like he will play and, given his comments on Twitter today, he will be up for this tonight to celebrate his new contract. Back four will be interesting Serge Aurier will have to replace Trippier. I cant believe how bad Trippier was on Monday night, he was getting some stick from the fans below me. I ended up sitting with the prawn cocktail crowd and not one of them made any kind of attempt to support the team just moaned their faces off. In fact everywhere I went around Wembley Park the fans were really down and complaining. We really have over stayed our time at Wembley we really need to move into our New Home. Winks will probably start, who Poch puts in the back four not sure he might play Kyle Walker Peters on the left as Rose is still out and he cant keep flogging Davies who, I have to say was pretty ordinary on Monday and off the pace. Will Poch play Foyth with Sanchez ? or just Keep Toby ? On the positives I can see us really coming on strong in January, Verts will be back, Rose should be fully fit especially if we can bring in some fresh faces, that has to happen, even though Poch says it takes time to bed in new players in the January window, but, for the moment, we are going to have to dig deep and grind out results and try and stay in touch with the 5 money bags teams above us. We have to strengthen in some key areas in January not sure how with another £227m loans taken out but, one thing is for sure, we could do with some good news. I hope Harry is rested and Llorente gets a run out with Son one side and Delle on the other Eriksen in the pocket Winks running things in the midfield with Wanyama, if fit, or Sissoko in front of a back four of Aurier Kyle Walker Peters Foyth and Dier and Gaza in goal! Hopefully Oli Skipp will be on the bench along with Luke Amos or maybe Marcus Edwards or Shayon Harrison to replace Llorente at some point! Going to be more bad headline tomorrow morning if we lose this one… and please, no penalties! Bad enough losing but having the team out on the park for extra time with Wolves coming up…not a good idea! OyvehMaria “We’ve had to borrow another £227 m to pay for the over run in costs” so you know how much we were going to borrow in the first place. How much was that ? So, I’m sticking a Darwin on a Hammers win. THFC… Trophy-less, Homeless and the Football’s Crap! Ohveh, Luke Amos badly injured his knee a few weeks ago and will be undergoing surgery on it. He is out for the rest of the season. HT….those posts cheered me up made me laugh, good on yer! b) play the kids (KWP, Skipp, Foyth…). I’m all for option A, as I believe we should still be able to field a very competitive team with the returning players and lesser-used squad members. On the other had, if MP decides that he again wants to throw away the LC, arguably our best chance at a trophy this year, despite our struggles in the CL, that would be baffling to me. And Eric Dier is injured. Will people stop writing off our Champions League hopes. Surely we’re favourites to beat PSV and Inter at Wembley. Barcelona would also be favourites to beat Inter at Camp Nou. It’s not all over til it’s over, especially when you look at who each team has yet to play and where. Parklaneyido – we were favourites to beat PSV the other day too, and that didn’t help us much. Given our current form and injuries, we cannot assume that we will win any European game, let alone away in Barcelona. Right now, in the CL, I think we’ll already have our hands full with Inter at home. In the CL, there is zero margin for error for us to qualify. Not only do we have to be perfect, we also need results out of our control to go our way. Just because something is still mathematically possible doesn’t mean it’s likely. Huddersfield and Newcastle are currently last in the PL, with 3 points from 10 games, yet it is still possible for either to be champion this year. I don’t think anyone at those clubs is feeding them the lines of “it’s not all over til it’s over”. Surely they are resetting their objectives to more modest ones, as should we.